Silvets is a capsule-type dietary supplement manufactured in the USA for the Saudi Arabian company Key Player Ltd. It’s actually just their previous diet pill, Slimette, with a new name. We have no idea why Key Player chose to make the change from the name “Slimette” to “Silvets”, but companies sometimes take this action when products have acquired a reputation for delivering poor results or not working at all. We are not saying that is the case here, just that it happens and could be a possibility. 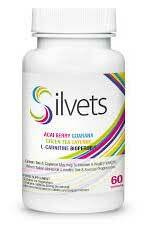 Key Player say Silvets boosts energy levels, increases the metabolism and decreases fat retention. We are unsure exactly what they mean when they say the product decreases fat retention, but the other two benefits that are offered are common to most diet pills. A faster metabolism burns extra calories and this can lead to a calorie shortage that necessitates the burning of body fat for energy. When people are short of calories they may also feel tired and lethargic, so diet pills often contain stimulants and/or other ingredients that elevate energy levels and help prevent diet-related fatigue. Acai Berry: A nutrient-rich fruit extract that boosts the metabolism and helps suppress feelings of hunger. L-Carnitine Tartrate: The results of a study conducted at the Univeristy of Rome suggest L-Carnitine may have the ability to delay the onset of fatigue. Cayenne Powder: Research conducted at Laval University in Canada shows cayenne contains compounds that can increase diet induced thermogenesis and lipid oxidation. Guarana: A natural ingredient that is often added to energy drinks because it delivers a slow release of caffeine and can be good for boosting energy levels for extended periods of time. Guarana is also a diet pill regular because caffeine is a proven metabolism booster and fat burner. Green Tea: The antioxidants provided by green tea benefit the health in numerous ways and also have the power to trigger thermogenic fat burning. Bioperine: A proprietary blend of piperine. The piperine alkaloid is obtained from black pepper and is added to supplements of all kinds because it improves the absorption rate of other ingredients. 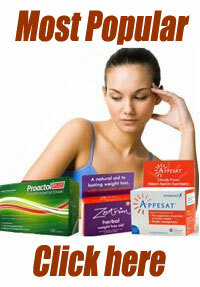 How to Use – The capsules are intended to be taken two times per day with meals and the dose is one to two capsules. There are 60 capsules per bottle, so each bottle will last for 15 to 30 days, depending on how many capsules are taken each day. Diet and exercise is required. Key Players have created a different site for each of the countries they are targeting. 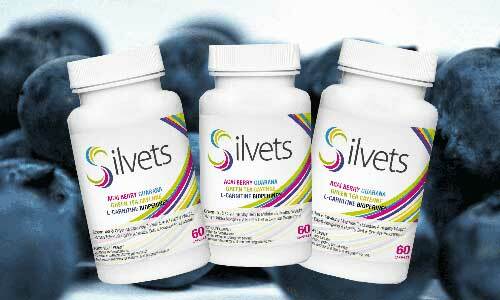 Customers based in the UK can visit silvets.co.uk and pay £32.97 per bottle (contains 60 capsules). People in Germany can go to silvets.co.de and pay €44.18 per bottle. Similar sites are available for Slimette and anyone who wishes to try and buy it will find they are offered Silvets instead. The only way to contact customer services is to send an email to orders@keyplayer.ae. If you buy the product and want your money back there is no way to do so because Key Player fails to provide a money back guarantee. Key Player present the same customer testimonials on all the versions of the site and the names and locations of the people are changed to correspond with the country they are targeting. The woman who supposedly lost 60kg by using Silvets is identified as Tina Miller on the UK version of the site and Key Player says she comes from Walsall. On the German site they state she is Emma Müller from Köln. The other sites award her alternative identities and locations. However, the truth of the matter is her real name is Emma Duncan, she comes from Australia, and she didn’t lose 60kg at all. She lost 62kg, but she didn’t do it by using Silvets. She took part in a TV series and was crowned Australia’s Biggest Loser in 20ll. You can read her story on ABC News and take a look at the same pictures that are used on the Silvets website. Needless to say, in light of this revelation, we don’t believe any of the testimonials presented by Key Player and would have been interested to read reviews placed at a more trustworthy source. Unfortunately, none were available. Side effect-free weight loss is promised, but Key Player say the formulation is not suitable for pregnant or nursing mothers. Although Silvets contains some good ingredients, there are no customer reviews (from reliable sources) to show it can deliver the goods. That makes it a chancy option. Especially bearing in mind the price and the fact that there is no money back guarantee. We are also not impressed by the fact that Key Player appear to have cut and pasted pictures of a minor celebrity from an Australian TV weight loss show and used them to promote their product in such an unscrupulous way. It does not suggest a credible company and we cannot recommend Silvets. There are many better options available. 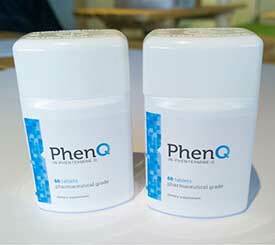 PhenQ has many benefits and is arguably the best selling commercial diet pill in countries such as The United States, the UK and Australia.